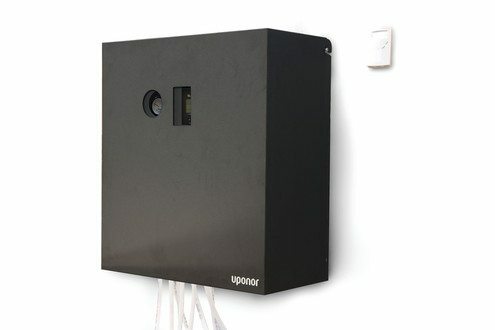 Uponor Radiant Ready a complete radiant mechanical room designed in a compact, preassembled, easy-to-install panel. The unit includes a boiler, manifold, pump, expansion tank, pressure-relief valve, isolation valves, thermostat and air vent. Simply hang the panel on a wall, connect the tubing, thermostat and electrical power and you’re done!